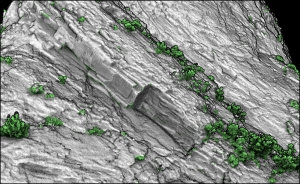 Karst-related hazard can be a problem for buildings, especially in the case of evaporite karst. This study aims at evaluating the risk posed by evaporite karst for a building portfolio in western Switzerland, using a susceptibility map and an event inventory. Since the inventory is not complete, different corrections aim at obtaining a frequency of sinkhole events damaging a building as close as possible to the actual frequency. These corrections account for the variation of the building stock during the inventory period, the varying inventory quality among the municipalities and the partial knowledge, even in the best case. This approach is preferred here to estimating spatially the hazard, since the amount of information on the frequency and magnitude is insufficient to draw a proper hazard map. The distribution of loss ratios is also retrieved from the inventory, thanks to the estimated or actual price of the remedial works. Annual losses are then estimated using a Monte Carlo approach, which consists in sampling for a number of damaged buildings from a Poisson distribution, for a distribution of loss ratios and for a building value. Different exceedance curves relying on different hypotheses are presented, and the mean annual loss that the public insurance company might have to compensate is estimated at CHF 0.8–1.5 million. 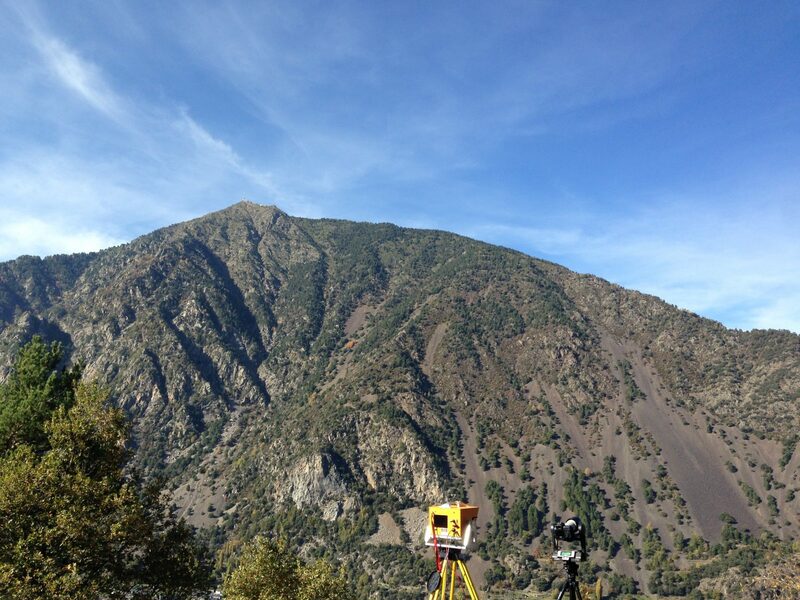 The Risk Analysis Group (C. d’Almeida, F.Noël) spent a week in the principality of Andorra to carry out lidar survey. The city of Andorra-la-Vella, located in the hearth of the Pyrenees is a very dense city surrounded by landslides and active cliffs. Lidar and photographs survey of 12 sites were performed. These sites were previously monitored by the Risk Analysis Group (Antonio Abellan) in 2009 and 2012. Exploiting the lidar scans will permit to quantify the erosion activity of the cliffs and detect potential instabilities. The Risk Analysis Group thanks the geo-hazard expert Joan Torrebadella from Georisk-international for his warm welcome, and accompanying during this week.